The IMPACTS Project is excited to invite you to Beyond #MeToo – Film and Dialogue. 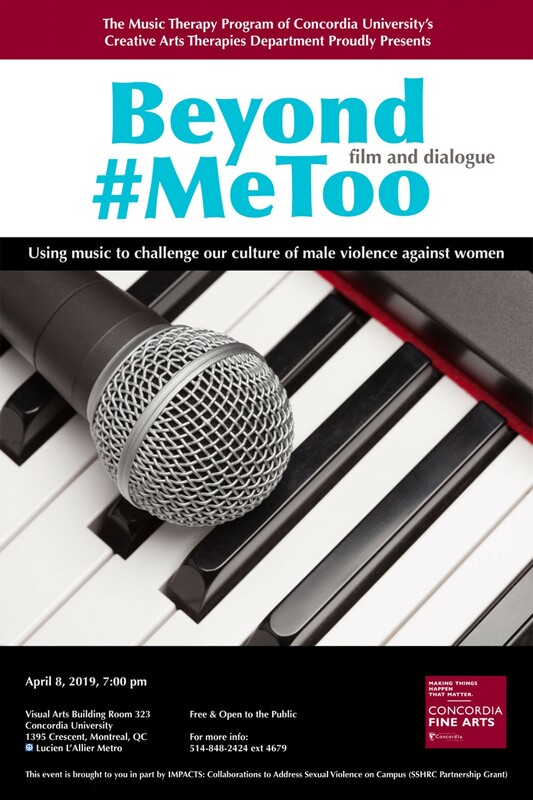 Scheduled for April 8 at 7:00 pm at Concordia University, this film screening explores the use of music to challenge our culture of male violence against women. The film showcases music therapist Sandi Curtis' work with Concordia university students and their creation of music videos in their capacity as singer/songwriters. The film screening is followed by a dialogue with Curtis, the university students, and alum. More information about this free event is available on the event website.